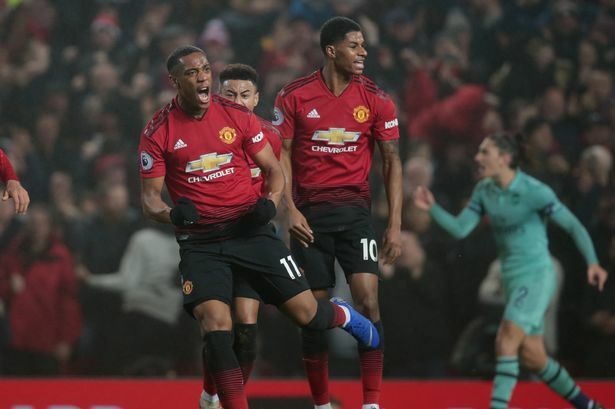 Red Devils attackers Anthony Martial and Jesse Lingard got an injury during the Champions League game against PSG and they won’t be able to help the club in coming matches. This is terrible news for the Red Devils as they have to face Liverpool in the Premier League. Alexis Sanchez is in terrible form and Norwegian manager has to fix this problem very soon. Both footballers were in excellent form and it will be very difficult to win the games without them. Anthony joined Man United from Monaco in 2015 with a €60m deal. He became a key figure for the club and scored many important goals since joining. In this campaign, Martial already played 28 matches, scored 11 goals and made 2 assists in all tournament. The 23-year-old forward is contracted with the English club until 2024 and his release clause is around €60m. Jesse is a product of the Red Devils youth academy and spent his current career with them. He became an unchanged figure for the club and played numerous matches excellently over the years. In this season, Lingard already made 27 appearances, scored 5 goals and made 4 assists in all competition. The 26-year-old winger is contracted with Man United until 2021 and his release clause is around €40m. He is a regular member of the national team and also helped them to finish the 2018 Mundial in a fourth place which is already a big success for the attacker. English club have fantastic results in the Premier League as they are in a fourth place and have a big chance to get the Champions League ticket.